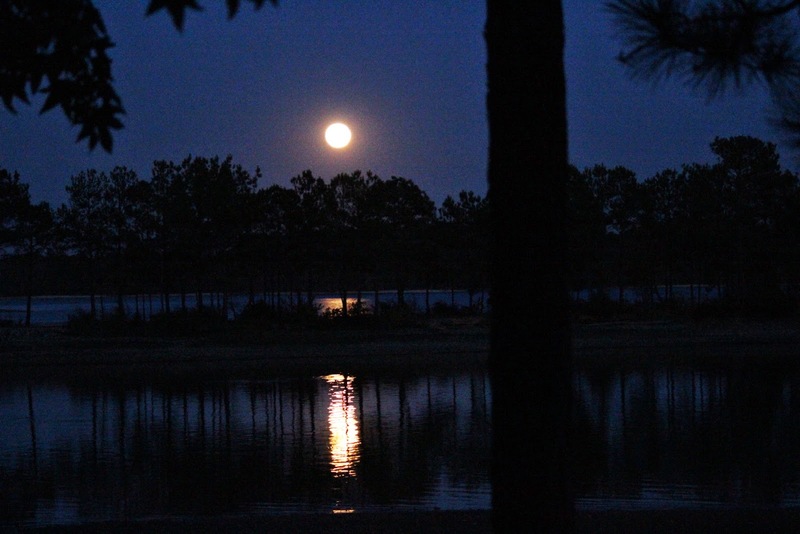 Twin Lakes Corps of Engineer is on Hartwell Lake, a large lake of 56,000 acres that borders South Carolina and Georgia. The nice thing about this campground is that 89 of the 102 sites are waterfront sites. Early morning offers a water view with steam rising. Again, most campsites have water views like ours. Also, most have water and electric and are pullthrough sites. Jan and I had camped in another COE park near here in 2009 called Winfield COE. Again, huge sites, but now closed in the fall. 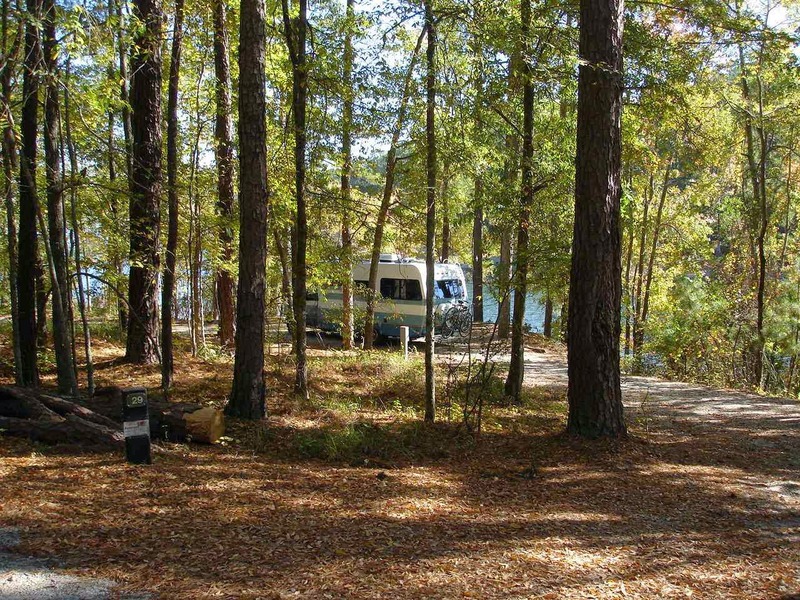 Petersburg is the only COE campground open on Strom Thurmond this time of year. 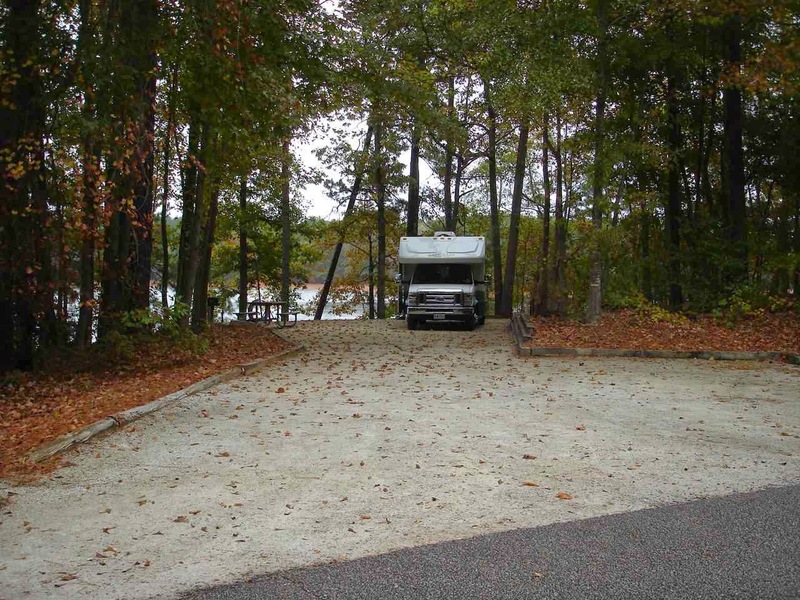 Another nice campground in the area is Mistletoe State Park. In 2009 we almost missed out on a site because we missed the Augusta Masters Golf Tournament by only a few days. Augusta is about 25 miles south. The following link is an entertaining one for golfers. Augusta golf . the link opens differently each time with a new short video and then goes to the golf page. If you do visit these lakes after September, realize that most of them lower the water levels for the winter. This is needed to allow work on docks and other shore facilities. There are still wonderful water views around the parks. Heading west, the obvious route is the Interstate 20 towards Atlanta. As we head west, it is sometimes curious to note that there are not always direct roads to places you want to go. However, in this case, around northern Georgia, it seems all roads lead to Atlanta. Really!!! If you look at a map, you can see at least 9 major highways leading into the hub called Atlanta. If you ever have the occasion to drive around Atlanta , you will know that gridlock can happen at any time. So!! This time we head south from route 20 on route 44 to route 16 and-------you guessed it-- avoid Atlanta all together. 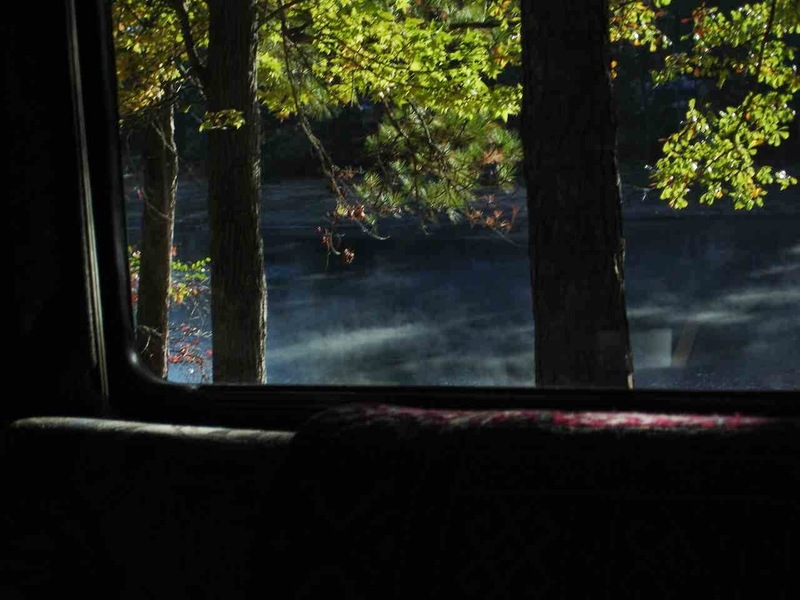 This quiet road takes us to Jackson, Georgia and the Indian Springs State Park. These sites are very level and large. Very few people in the park, but they have a list of activities through the winter and seem to be active on the weekends. An old Creek Indian spot enjoyed for the healing waters, it was a resort area in the 1800's. Thought to be the oldest state park in the nation. 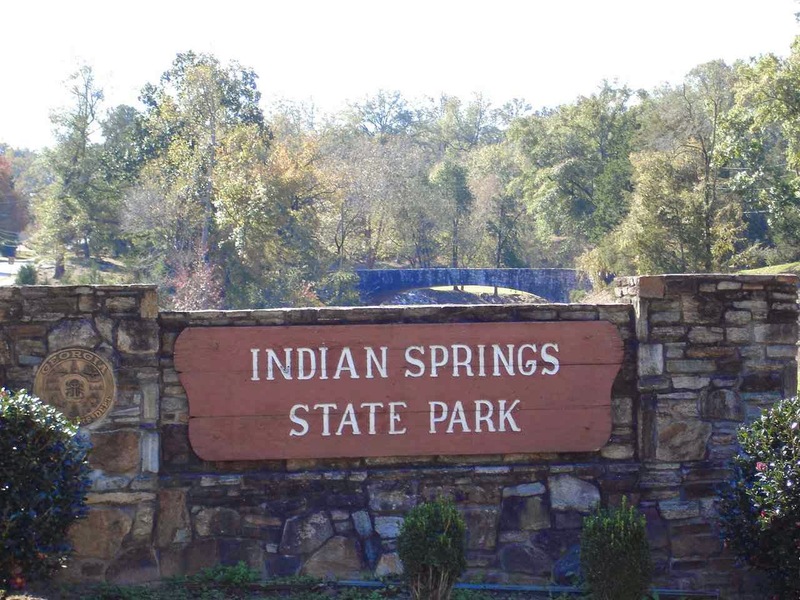 More information at this link.Indian Springs Info. After Indian Springs, Jan and I continue southwest to the Georgia border and West Point Lake COE in West Point, Georgia. This lake cover 35 miles along the Chattahoochee River along the Alabama, Georgia line. Like other large lakes in the area, the irregular shoreline measures over 525 miles, providing many opportunities for fishermen. A large number of campsites again and most have water views like this one. Notice how Lady Blue has room for a number of friends. By the way, the site is not concrete, but a hard pack white gravel. Extremely level. More info at this link West Point Lake. 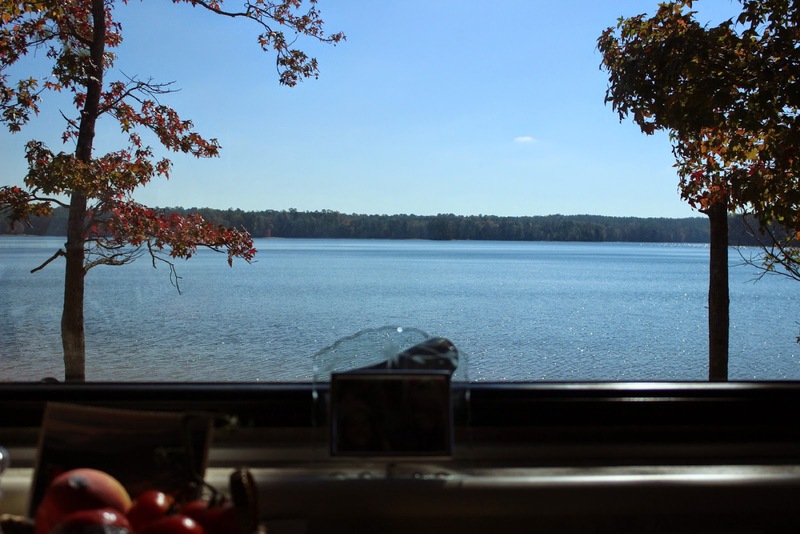 Into Alabama, we follow route 50 to 280 and over to Wind Creek State Park. In Alexander City, south of Talladega and southeast of Birmingham on Lake Martin. This is a huge lake and a giant campground with 626 sites and many of them with a waterfront view. We will note that, although it is chilly today, we are much warmer than what we see for temperatures up north. We almost missed it!!! Jan and I were enjoying the site, when Jan saw an orange glow out the window. She ran to the calendar and sure enough, it was the full moon. How nice of them to give us this perfect spot! 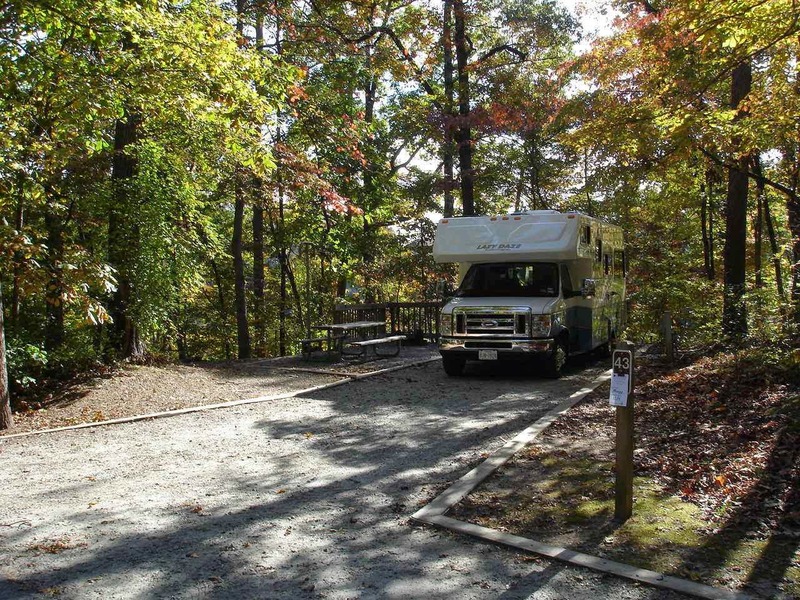 Thanks for letting us view Lady Blue while you were at Foscue Creek COE Campground. I hope you enjoyed your short stay here. Love the specifics you list about the sites you've been at during your travels.